Today you are in for a treat because you are getting TWO blogpost today! Since both of the blogpost today are Fashion related, I decided to call today’s double feature Fashion Double Feature Friday! This will be the first post, and be sure to come back at 2PM for the second! Lets get into today’s FIRST post. Fall is right around the corner and its time to prepare your closets! 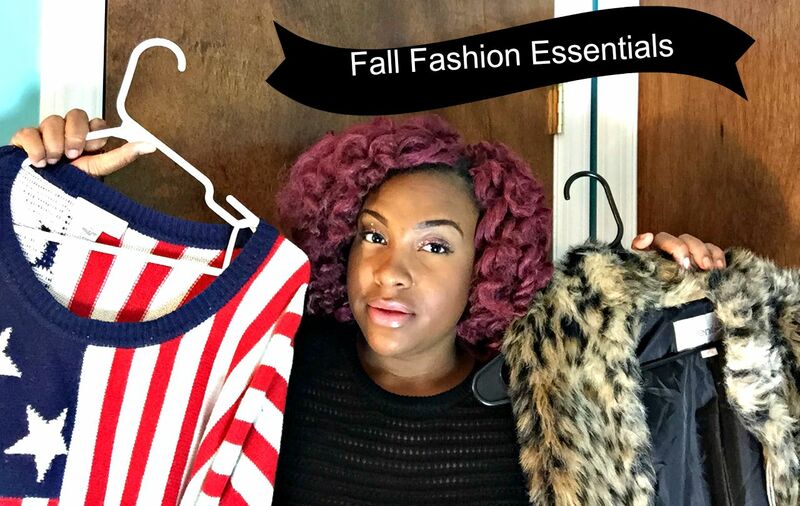 In this video I touch on ten fashion essentials that you need for your fall wardrobe. You probably have some or most of the items on this list, but either way your going to need at least 3 of these items to create a perfect look for fall! So enjoy the video, and meet me below for more details! Did you enjoy the video! I know it was a bit on the long side, but I had so much fun making this video for you guys! Fall is honestly my favorite season, and I get so excited everytime this year comes around! So I am going to quickly list the ten items on our essentials list so that you can recap what was said in the video! So ladies that’s it for the first blogpost of today! Be sure to come back later today at 2PM for the second blogpost for today’s Double Feature Friday! Feel free to follow me on any of my social media! They are all linked above! So until we meet again at 2PM, love ya lots like tator tots, and see you later!